In this review, we’ll discern about the best resume format guidelines. So, writing a resume, you’ll definitely face the following questions. Can I increase the page margins and decrease the font size in order to make my resume occupy two pages? Remember one simple truth, using various formatting tricks – you won’t fool a job recruiter. The appropriate font size is 10. For that reason, you shouldn’t play with the font size, you need to make your resume concise. This is an excellent opportunity to show your ability to prioritize the facts. Should I be creative when I apply for a designer? It is difficult to answer this question because the answer fully depends on the job position you want to get. First, you need to know that if you apply for a designer or a photographer, this approach will be appreciated (but only if you send a resume directly to your employer). In the majority of cases, each company has a definite applicant-tracking system which receives resumes online. In other words, this is a specific electronic gatekeeper, which, as a rule, chooses only 25 % of all resumes. The system works in the following way: it chooses the industry-specific keywords. So, if you know these keywords and include them in your resume, you will have more chances to be reviewed. For that reason, if the company uses this tracking system, there is no need to be creative. The software of this type doesn’t recognize fancy formatting or elaborate graphics. So, creative resumes work in your favor only in case when you are familiar with the way how a company’s hiring procedure works. Where to list hobbies and interests? You should add this information only in case it really matters. So, if you know that your interests aren’t related to the job position, exclude them from your resume. How to format a resume effectively? Don’t use difficult to read fonts. In some instances, job recruiters don’t read them till the end. We hope that our guidelines will help you create a worthy resume. 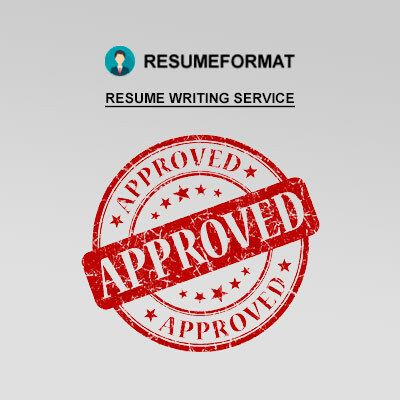 Nevertheless, the team of writers working for ResumeFormat2015 is always ready to assist you!